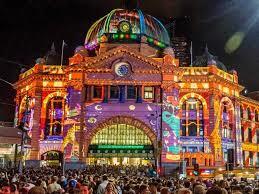 Victoria’s annual White Night will return to Melbourne across three huge nights in August 2019, thanks to support from the Andrews Labor Government. Minister for Sport, Tourism and Major Events Martin Pakula and Minister for Creative Industries Martin Foley today announced the festival’s return from 22-24 August, reimagined and expanded across three iconic precincts. Carlton Gardens, Birrarung Marr and the National Gallery of Victoria will come to life with live performance, installation and projection – with road closures to help festival-goers make their way between the three precincts. A blockbuster addition to Victoria’s major events calendar in winter, the creative program will feature music, visual and performing arts to make the city come alive during the quieter period, boosting tourism as well as inviting locals to experience the best the city has to offer through a three-night offering. White Night Reimagined will feature an extensive program of experiences supported by Melbourne’s creative institutions. The National Gallery of Victoria, State Library Victoria, Arts Centre Melbourne and Melbourne Museum will present unique and exclusive experiences over the weekend, alongside a culinary offering that showcases Victorian produce to audiences across the city. White Night will also continue in Ballarat, Bendigo and Geelong, with the hosting role shared across the regional cities over the next three years. The festival will return to Ballarat in 2019, Bendigo in 2020 and Geelong in 2021, continuing its success in Victoria’s regional centres and bringing to life their architecture, contemporary art scenes and gourmet food and wine. For more information about the program, please visit whitenight.com.au/melbourne.